Traditionally used as groceries for fruit and vegetables and recently all the way back from Mexico. 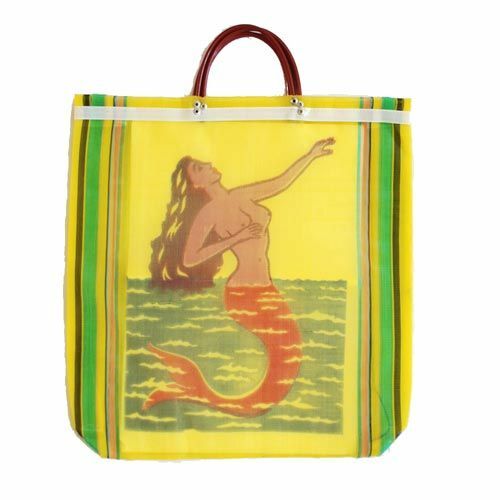 Handy for shopping but can also be used as a beach bag. Available in four colors. 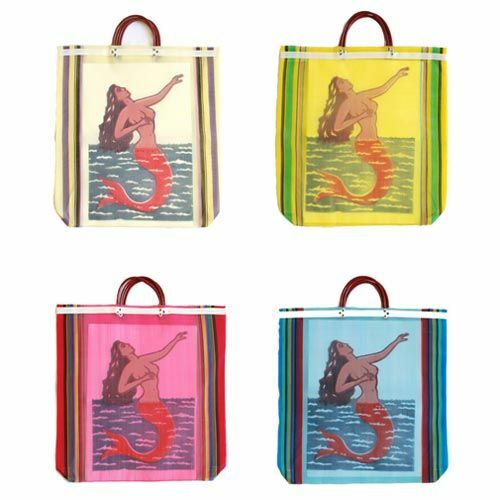 These fantastic bags are made of braided polyester and with double handles which makes the bag sturdy. 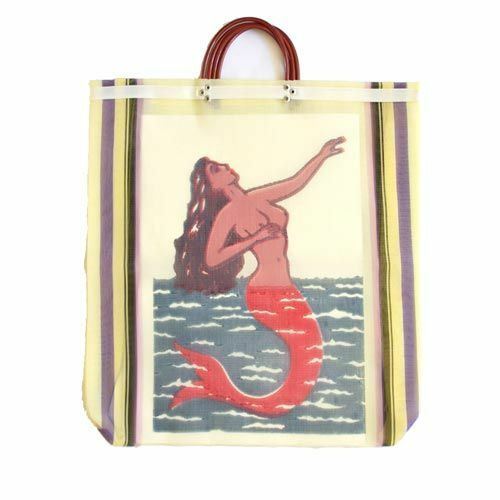 On both sides a print of a mermaid. Handmade in Mexico. 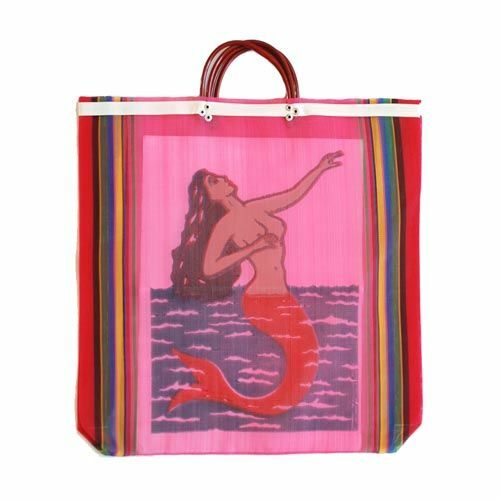 This very traditional-style shopping bag has been used by Mexican women for years to do their daily groceries. It is considered by Europeans to be a folk art item in Mexico. 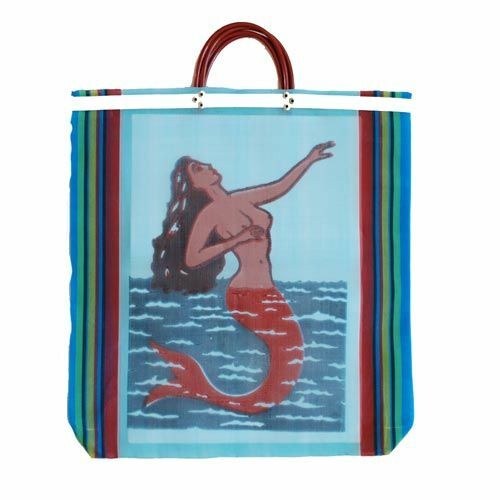 They are made by generations of families in Mexico and are available in various prints and colors. Color: yellow, white, blue or pink.